— there’s no doubt about that. Well, imagine seeing not one mean comment directed towards you, but hundreds of them! For Madison Beer, that’s sadly become her reality. In fact, the singer tells J-14 that she gets so many cruel comments online that there are days when she can’t stop herself from crying hysterically because of it. For Madison, dealing with online haters is nothing new — it’s unfortunately been part of her life ever since she started putting up YouTube videos back in 2012. “When I first started posting on YouTube, I was bullied a bunch and made fun of,” she recalls to us exclusively. And while Madison has since parted ways from those “friends” who taunted her, the mean comments directed at her sadly haven’t gone away over the years. We couldn’t agree with you more, Madison! Interview by Lindsey Smith and story by Morgan McMurrin. "Madison Beer: 'I cry all the time!'" 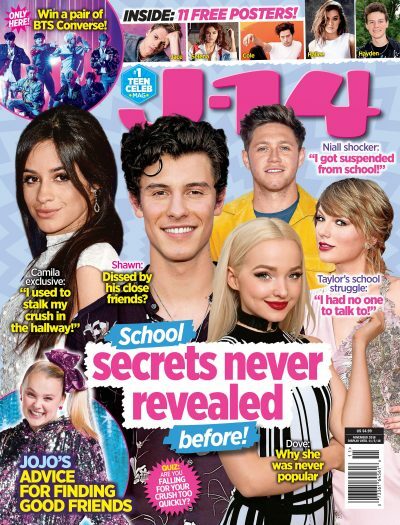 originally appeared in the May 2017 issue of J-14.